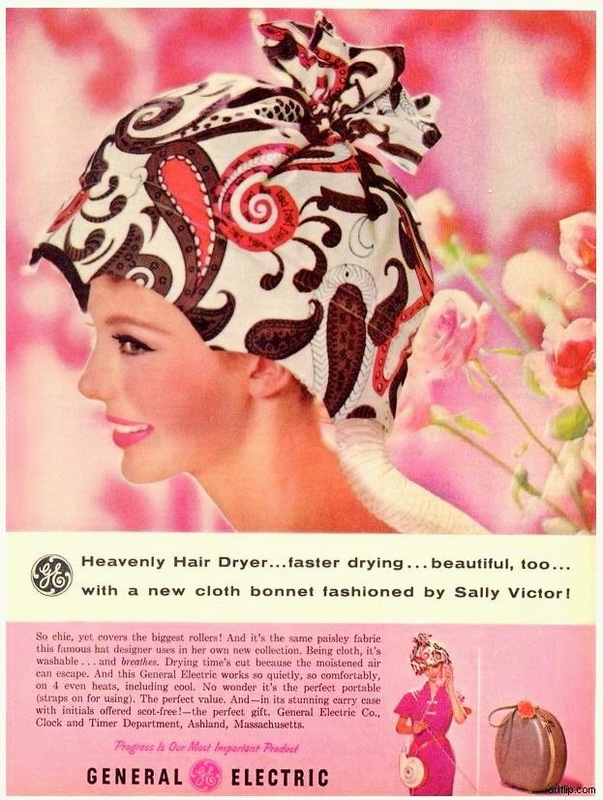 The heavenly hair dryer... faster drying.... beautiful too... with a new cloth bonnet! How amazing is this General Electric personal hair dryer? Strapped it on your hip and a girl could keep on with her busy evenings while hair do got dry. Oh the days of the shampoo set. Where a girl had to spend a few hours in rollers and under a dryer... to get that perfect hair-do.